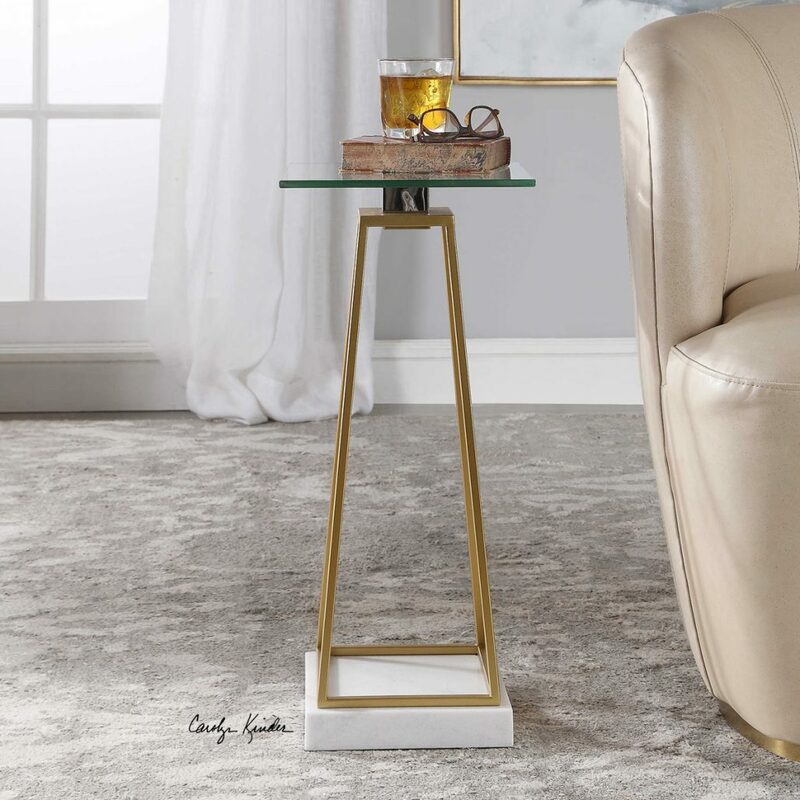 This linear designed accent table features a tapered open steel caged base finished in metallic gold leaf with a white marble foot and clear glass top. Designed by Carolyn Kinder International, this modern collection also includes the Mackean Modern Gold Lamp. Available to trade professionals at Uttermost.com. Explore retail options for this product using Google Keywords Carolyn Kinder Mackean Modern Accent Table.